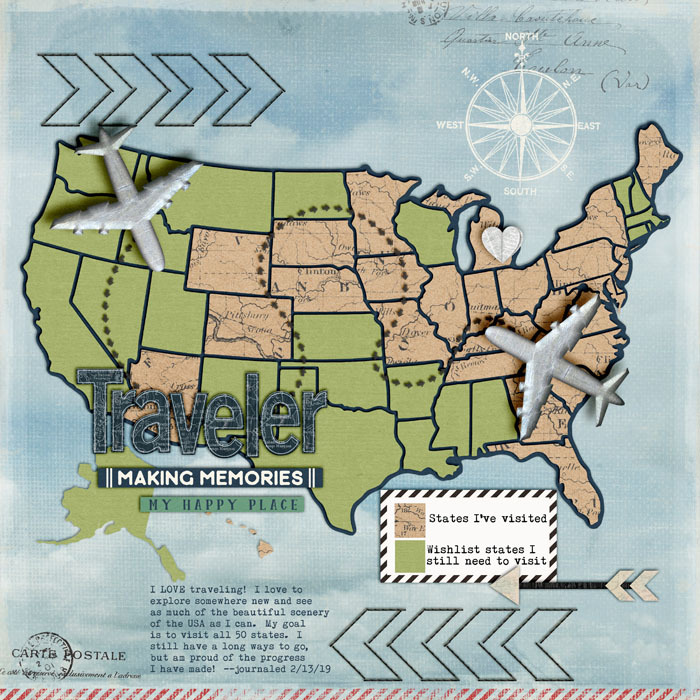 Credits: SSD mega collab World Travels, Scrapping With Liz Traveling the US Templates. What a neat page! Love your choice for your OLW page and the template you used is amazing! what a page, love it!